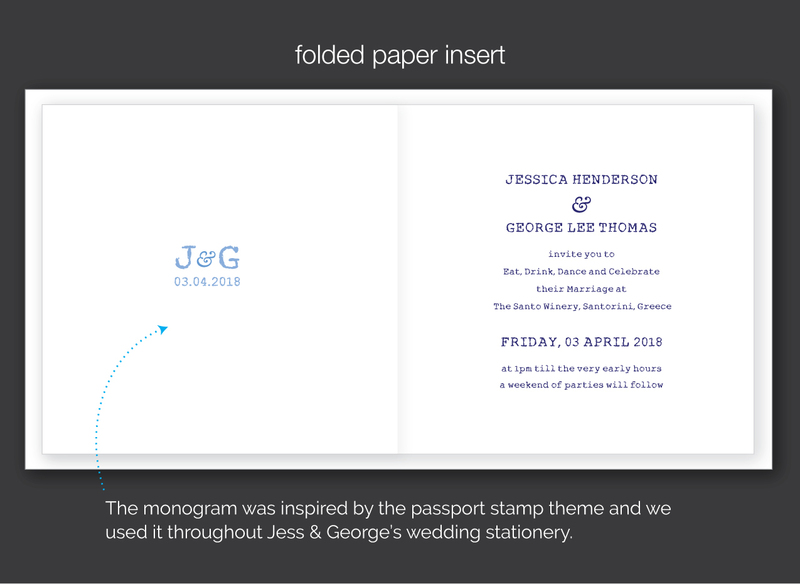 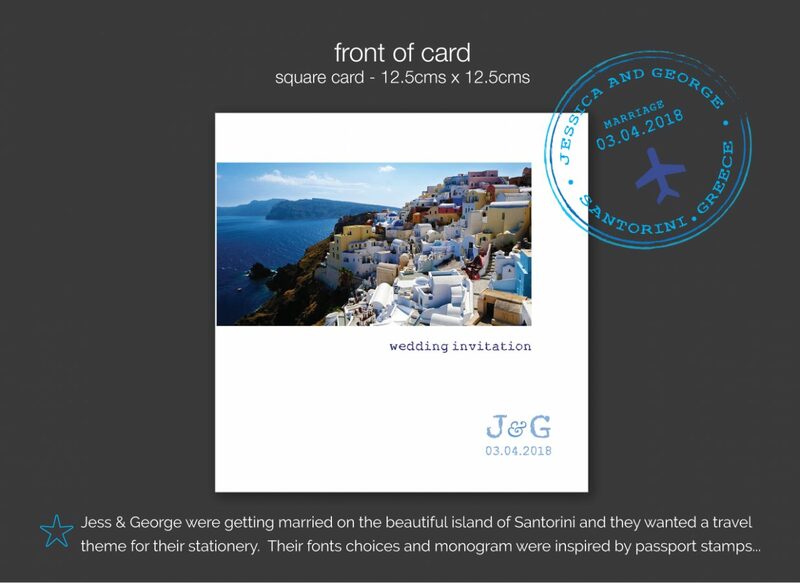 Jess and George wanted to use the idea of a passport stamp to theme their invitations. This worked really well throughout their stationery and we also printed stickers for them to seal their invitations. 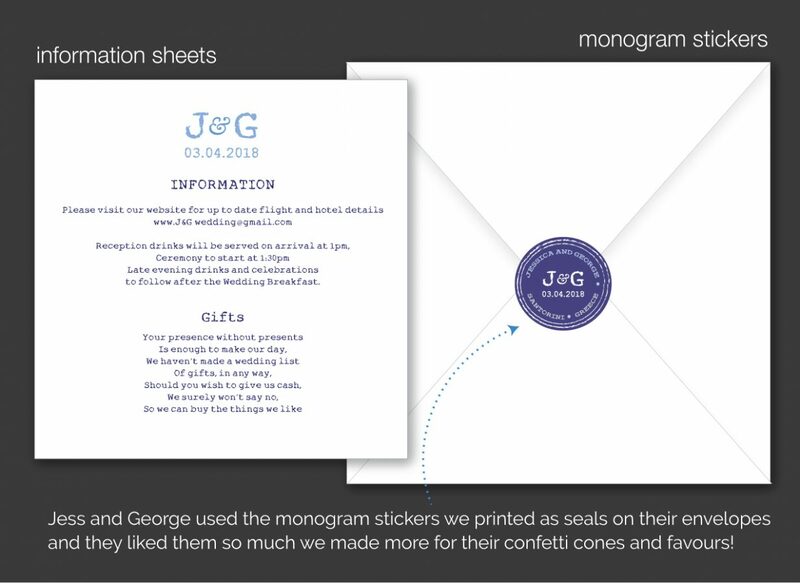 They were so popular we printed more for their favours and confetti cones! 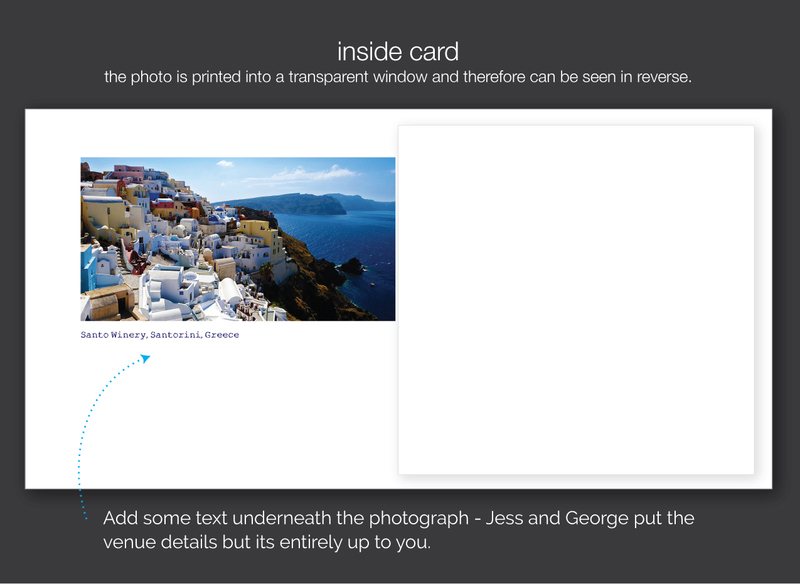 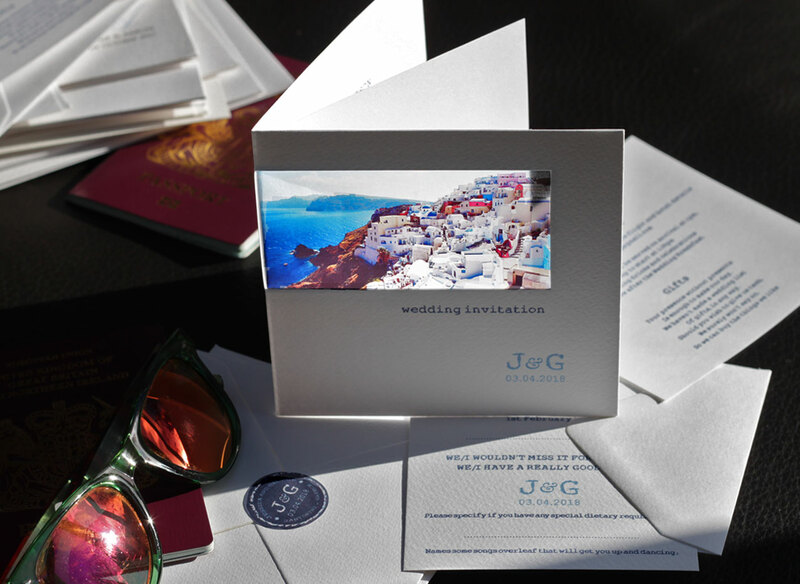 Just tell us you like the ‘getting married abroad invitation’ if you would like to use any design details from this example.